Star Wars: Episode VII is Headed to Ireland! The Star Wars: Episode VII crew is heading to Emerald Ise off the coast of Ireland to most likely do location filming for some unknown planet. 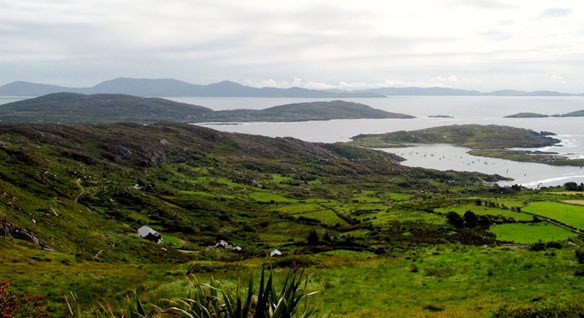 This confirmation has come from The Office of Public Works (OPW) stating that the Lucasfilm/ Disney crew will be shooting off of Co. Kerry in Ireland, at and around an Island called “Skellig Michael”. Apparently this Island is home to many scenic sights and ancient christian monastic ruins, which will surely add to the scenery. It is very exciting to see that Abrams’ crew is using real locations and practical models (as we have seen in recent images such as the X-Wing reveal) in this new trilogy. Filming has hit Abu Dhabi and London and there has been no actual confirmation as to how long the cast and crew will be in Ireland but we will keep you posted. Star Wars: Episode VII hits theaters December 18th, 2015.